If you are moving to Enfield Lock, EN3 and you’re looking for a team of dedicated experts to help get you there, look no further than Moving Service. Our house moving specialists will be able to take care of even the trickiest of tasks involved in the process: the transportation aspect of the move. Our movers are on hand to offer you the most comprehensive service, taking care of absolutely everything on this stressful day. Hire us when moving to Enfield Lock and you’ll be able to do so in relative ease and comfort. Contact us today on 020 8746 4402 for more information. Certified Moving Teams in Enfield Lock with Proven Skills and Experience! With an array of different removal services, Moving Service are the only team you need to call upon when planning for removals to Enfield Lock. With our relocation services, we’re able to provide a number of different solutions, helping you in any way you need on moving day. We offer transportation services, getting you to where you need to be in EN3; we can assist you with the packing side of things leading up to the big day, and can even help with international removals, if you’re relocating to a destination abroad. Regardless of what you need, the size, time, and distance of your move, we’ll have your needs covered. Call us today on 020 8746 4402 to get a free quote! Why Is Our Moving Team So Highly Sought-after in the EN3 Area? When people are planning a relocation to Enfield Lock, EN3 they tend to seek the services of our professional moving company. With plenty of years of experience, our movers know what to do to and focus solely on the needs of our customers. From the moment you call us, our team will work tirelessly to achieve 100% customer satisfaction. Because after all, this is what makes your move progress as smoothly as possible. We’re a customer-orientated company, and it certainly shows because we’re often inundated with calls from new customers and those after some repeat business. We’re always happy to help regardless of your circumstances. Speak to us today on 020 8746 4402 and see for yourself. What Does Enfield Lock Have to Offer? Part of the London Borough of Enfield, Enfield Lock is located on the northern outskirts of Greater London and is a far cry from the hustle and bustle of the centre of the city. 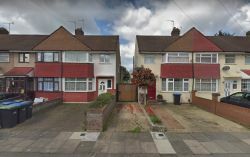 It’s got good transport links – is in close vicinity to the A1010 Hertford Road – and close to Enfield Island Village. The area is named after the iconic lock on the River Lee Navigation – the canalised river incorporating the River Lea – recently rebuilt and forming part of the lush green Lee Valley Regional Park and the Enfield Lock Conservation area. Another local attraction is the area of marshland, formally used as a testing site by gun manufacturers. We’re a removal company that works with the needs of our customers in mind, so whatever you’re after, it’s highly likely that we’ll be able to accommodate your needs. We’ve designed our services with the aim of making them accessible to all who need them, which is why our removal services are priced very reasonably in comparison to our competitors in the UK and other removal companies operating in EN3. Our rates reflect this, as do our special deals which we regularly hold on different occasions throughout the year. To get the best moving experience, utilise our relocation services and you won’t be disappointed. Book now!